The Archbishop of Canterbury has begun his three day visit to the Diocese of Peterborough with a short tour of Queensgate. 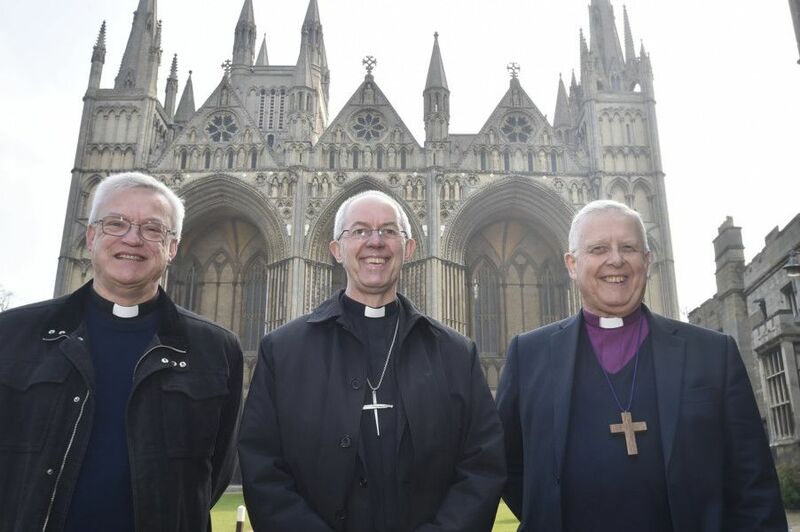 Archbishop Justin Welby arrived in the city this morning, was took a walk around Peterborough city centre with Bishop of Peterborough Donald Allister and Canon Ian Black. Today he is due to meet with people connected with the Light Project in Peterborough, which works with homeless people in the city, before meeting other faith leaders this afternoon. Tomorrow he will visit Northampton, before returning to Peterborough on Wednesday, when he will help launch a new Augmented Reality App at Peterborough Cathedral. The app will create a trail round teh historic building, and has been made using the award-winning Gamar app, which has been used by some of London’s top attractions, including the British Museum and Madame Tussauds, as well as more locally by Belvoir Castle and Doddington Hall. Visitors will be able download the free app to their mobile phone or tablet before they arrive, then explore the Cathedral using visual recognition to find the trail’s stops. Each stop triggers snippets of information about the history and purpose of the Cathedral, as well as augmented reality animations, ‘hands on’ games and puzzles. Look out for a leaping fish in the font, try your hand at playing a tune in the choir stalls, and rearrange Jesus and his disciples in a jigsaw of the Apse Chapel ceiling. The Victorian Gurney Stove heaters also feature as one of the stops.